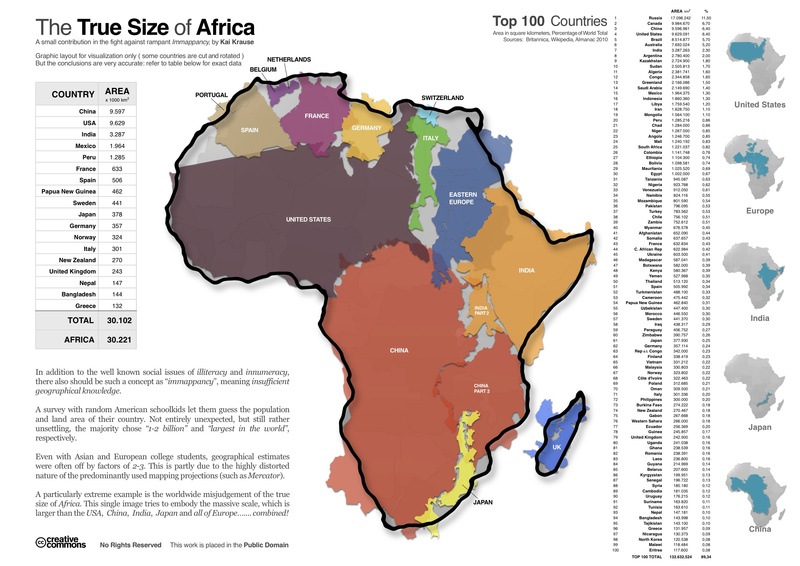 The TRUE Size of Africa – Have Our Maps Been Misleading For Over 500 Years? The earth is round and therefore the challenge of any world map is to represent a round earth on a flat surface. But have our world maps been wrong or misleading for 500 years? It seems as though they have. Although the featured clip in this article is from ‘The West Wing’, the inaccuracies of the world maps we commonly use is anything but fictional. The clip below reveals an accurate look at the size of Africa and how a world map might better reflect its size.